The Progress M-14M being readied for launch at the Baikonour Cosmodrome, the last successful launch by Roscosmos (Credits: S.P. Korolev /RSC Energia). With the announcement that problems with a Soyuz-TMA capsule will be delaying a scheduled March 30 launch of 3 crew members to ISS in the same week as a major report identifying programming and componentry errors as at fault in the well publicized failure of the Russian’s Phobos-Grunt Mars probe, Russian space failures are once again front and center. The following is a timeline of recent failures of Russian spacecraft. December 5, 2010 Proton rocket upper stage is loaded with too much fuel, sending the rocket off-course and dropping its Glonass-M navigation satellite payload into the Pacific Ocean. In response, President Medvedev fired two top ranking space officials and reprimanded Roscosmos chief Anatoly Perminov. February 1, 2011 Rockot launch vehicle failure places military satellite Geo-IK2 into the wrong orbit.Cause is attributed to a failure of the flight control system or gyroscopic orientation unit on the Briz-M upperstage. In April 2011, Anatoly Perminov resigns following weeks of rumors, citing his age, which was over the retirement age for civil servants. Prime Minister Putin appoints Vladimir Popovkin as his replacement. August 18, 2011 Upper stage of a Proton rocket misfires, placing its Ekspress-AM4 satellite into a useless orbit. Cause is attributed to employee negligence. August 23, 2011 Soyuz-U carrying the Progress M12-M ISS resupply vessel fails, crashing in Siberia. Cause is attributed to a blocked fuel line due to human error, prompting restructuring within Roscosmos. 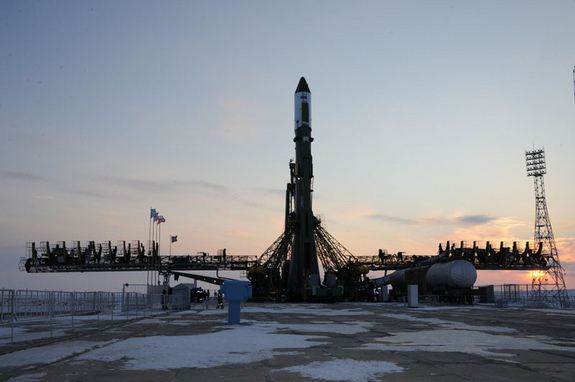 All Soyuz, including ISS cargo and crew missions, are grounded pending reinspection of the rockets. Sources cite aging workforce, poor salaries, and lack of investment in critical infrastructure as contributing factors. November 8, 2011 Phobos-Grunt probe intended to study Mars’ moons fails to leave Earth orbit. Cause is still under investigation. The probe reentered the atmosphere on January 15, 2012 and debris is assumed to have crashed in the Pacific Ocean. Phobos-Grunt is the 18th Mars mission to fail at or shortly after launch from the former USSR and Russia. December 23, 2011 Soyuz-2 rocket crashed just after lift-off from Plesetsk Cosmodrome with a military communication satellite. Cause is attributed to a third stage failure similar to the August 23 Soyuz-U. January 22, 2012 Soyuz TMA capsule is damaged in launch preparation testing. A hole in the capsule wall allowed pressurization of the interior up to 3 atm – double the intended pressure loads for the capsule. The increased pressure broke a welded line. Cause has not yet been attributed. The capsule will not be usable and must be replaced prior to launch.